why you always wear pants. When I’m just running out real quickly and I don’t want to get dressed, I always hear my mom’s voice in my head. Especially when it comes to dressing my child. So yesterday after dinner Jack was a hot mess. I needed to run out and pick up my prescription real quick and Tommy was working late, so I cleaned the naked, dirty boy up, put a shirt on him and put him in the car. I did have the thought that I should put pants and shoes on him, but I thought no, we’re just going through the drive thru and then coming straight home. CVS was not on my side, and we ended up inside the store for a good 30 minutes. Yep. 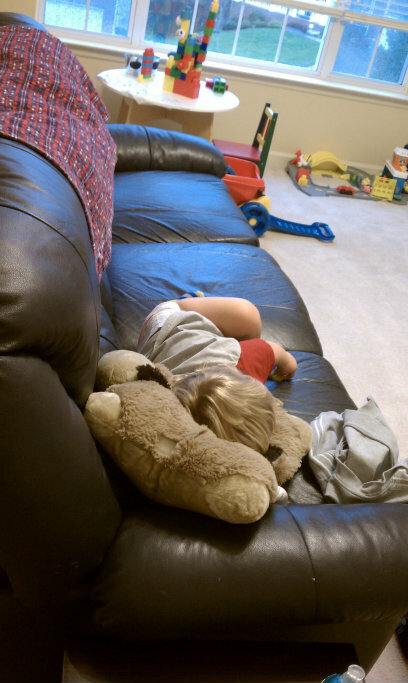 I was that mom with the half naked, shoeless, coughing, up-past-his-bedtime toddler in CVS. And that’s why you always wear pants. I smiled when I read this the day you posted it. I smiled again today, remembering what you posted. 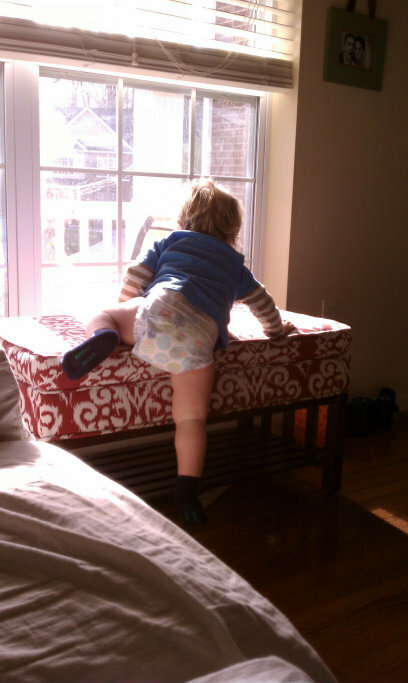 My grandson, age 3, prefers to wear only a diaper while in the house. 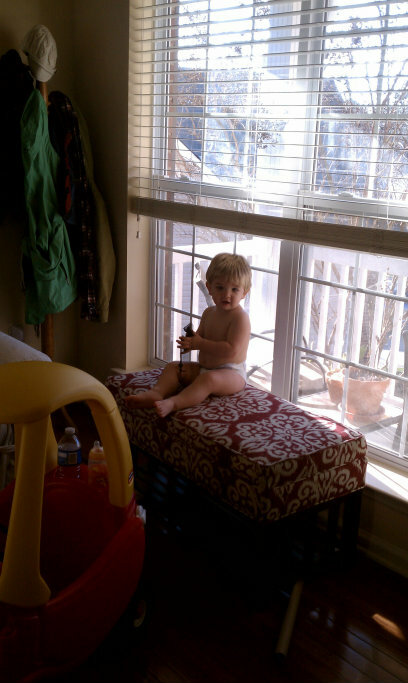 His mom (my daughter-in-law) worries about what the neighbors think when he runs outside like that. Today she was helping me load my car, he ran outside to join us — a chilly day and wearing only a diaper.